MLM Tough Times? Not Here. What would some secrets to getting through tough times with a home business help? Are you open to looking at your mlm home business through a different perspective then the average do? There are many secrets to this business and working it during tough times can be a bit of a challenge. But if you know what to do, then it can be a piece of cake! What are some of the things that you need to do to create a business explosion with your network marketing business? 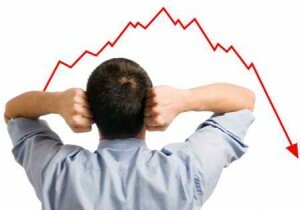 Understand the Psychology of People During Tough Economic times. People today are worried about their income and lifestyle. It is that simple. They are worried about being laid off, not being able to pay their bills, and what the future holds. Let’s be real folks…The last thing they want from a network marketing professional is a “pitch.” ‘Pitching” people during “Tough Economic Times” (TET) is the last thing you want to do. People you talk to want more than to be another “pitch’ or presentation. They are looking for CONNECTION to something that will guide them and lead them to a more powerful income possibility and more secure future for their family. People today aren not looking for another “job,” but something beyond that. Something that makes sense to them. Something that they feel can move them forward during these TET. You want to CONNECT to them, and then CONNECT them to an emotion that says ‘Things are going to be OK.” You need to be understanding, and empathetic to the prospect, and come across like you care. Do NOT pitch the prospect. Listen. Empathize. Understand. Offer a path out of the worry they are feeling. Deal in Reality- NOT Misery. When you are talking to your prospect, do not agree with their misery if they are talking that way. Deal in a NEW reality -the reality that they can change their position and place in this economy with your help. Most people are dealing in a Misery of FEAR. You need to move them past that fear. You need to move them past that emotion. You need to get them to see that there is a Success Reality that is available and not just an economic misery. Give them a DOOR- Dose Of Ongoing Reality. And lead them through that door with showing them how normal and average people that are in your company, are getting past the misery and fear that you see all over the media. Let them know that they do not have to settle for what the media and news is telling them. Reality is what you decide it is. Let them know that. What is REAL for you, is what you decide is real. Success is as real during tough times as it is during prosperous times. Show them the way. Give them a path. Open the door. Lead them through it. Say, “You can have the life that you want, and during tough times, it is easier than during great times. More people are open to change and doing something different.” Give them the Reality of Hope and keep them focused on that. There were more Millionaires Birthed during the Great Depression than any other 7 year period in the history of our country. TET are what you are looking to change as a marketer. You need to change the Great Depression to the Great Incubator. During these times, you are going to be either outside of the Millionaire Incubator, or INSIDE of the Millionaire Incubator. You need to ask what makes more sense to the prospect. The LISTEN to what they say. Their answer will speak volumes. These are three secrets for getting through tough times in your network marketing home business. 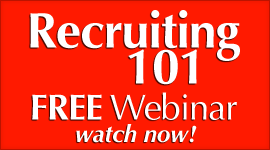 FREE Webinar- Recruiting 101- Watch it NOW FREE! How would you like to discover 101 MLM Prospecting tactics for your home business? Would that help if you disovered even ONE that would help? NOTE: Here are 101 MLM prospecting strategies and methods that are mainly offline and more traditional in nature, but will help you during the Holiday season this year. 101 Online Prospecting tips and tactics are coming soon. Find one or two and engage them. You do not need them all. You only need a couple that you feel will work, and then go to work with them. These prospecting tactics have produced a TON of volume over the years, and I know they will for you as well. 1. Send a product catalog to a co-worker that has moved or gotten a new job. 2. Send a product catalog to other reps that you know that market products that do not compete with yours. 3. Post a product catalog in the teacher’s lounge at your child’s school with our card on the catalogue. Give way something free in the catalogue with a drawing. 4. Post a product catalog in the employee lunch room of businesses that you know. 5. Hold an open house for your neighbors and let them invite friends for the holidays. 6. Have a booth at a school fair and give away something in a drawing. 7. Advertise in your alumni newsletter and or local paper a semina that you and your upline do for the public. 8. Give a product catalog to the receptionist at your doctor’s or dentist’s office and ask her to look through it. 10. 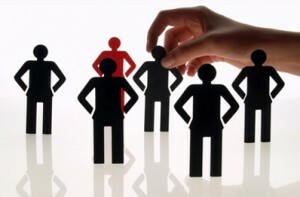 Call people who have helped you before and see if they would refer some prospects. 11. Put current catalog in your neighbor’s door and thank them in advance for their business. 12. Ask friends to sponsor an “open house” for you and give them some free products for doing it. 13. Advertise in your church bulletin a fund raiser that will help your church with sale of your producst going to the church. 14. Take a product to every church potluck and share it with folks asking them who they they know it could help. 15. Host an office party or brunch at an office where you know people or the boss sharing the benefits of your products and services. 16. Host a product/information table before or during a PTA Meeting and give awat something free in a drawing. 17. Mail out product flyers, post cards, or flyers with 25% off coupons or free drawing. 18. Do a fundraiser for your favorite charity-give them the profits of the sales. 19. Get a list of new neighbors from the courthouse. New people may be looking for a distributor or a new job in this area. 20. Set up a product/info display at a craft fair and go talk to every booth worker there and introduce yourself. 21. Participate in a school fund-raiser and ask them to consider your products. 22. Have your spouse or significant other promote the products at where they work (after work) with a free drawing to sign up for! 23. Have you and your family members wear a promotional T-shirt or Sweatshirt that has your logo or product. 24. Hold a Valentine get together with men that you know for product sales that would be applicable. 25. Set up a display/table at a mall during one of their fairs or shows. 26. Set up a display at a soccer game, hold a drawing for a free soccer ball in a drawing. 27. Put a product button on your shirt, purse, hat, or coat asking a question about a benefit of your products. 28. Ask a customer who won products at one of your drawings to talk about their free products in a vieo and put it up on your blog. 29. Hold a talk at a “Curves” / YWCA workout facility about your product and hold a drawing to give away some products. 31. Mention specials and free giveaways and other benefits at least 3 times per PBR (Private Business Reception) or in home meeting. 32. Hold up higher priced products and mention half-price products during a PBR (in home meetings) to encourage someone else to help you out and sponsor another PBR. 33. Mention how much your “average” PBR sponsor gets in discounted products and profits from sales and then give someone a chance to offer to help you and sponsor a PBR at their home. 34. At the beginning of your in home meeting, mention the goal of your PBR : to book 2 personal appointments from it to talk further about your business. 35. Share upcoming online contests, free drawings, and give aways with friends for upcoming meetings in conversations, phone calls, and on social media sites. 36. Video your guests at a PBR and let them talk about it, and feature the vidoe on facebook and youtube and twitter. 37. Encourage frequent customers to regularly hold PBRs for you for free product and even ske them to sponsor a luncheon with you. 38. Encourage PBR sponsors to book another one in 6-9 months. Nail the date down THEN. Promote free drawings ahead of time and use social media to do that. 39. Treat PBR Hosts to a special “Appreciation Tea/ Luncheon/breakfast” and make them feel like superstars for helping you. 40. Encourage family/relatives to hold a PBR for you, ask for help and offer them the profits for doing it. 41. Call your realtor with suggestions for “new home packages”/ with your products in the package. 43. Start an E-mail address book of customers who want to know more about your industry and products, and put a personal note with each email thanking them for their help. If there isn’t one, create one! Email monthly! 44. Encourage your PBR sponsors and guests who attend to refer potential sponsors to you…make a referral card to give out at luncheons and PBRs and offer a discounts for the referral. 45. Offer a free drawing on a video and viral market it over social media. 46. Promote shows that you have a booth with, and ask friends to come by. 51. Use open- ended questions, especially when dealing with conversations…and LISTEN to what they say for possible opening for your products and business! 52. Use ALL your products at home, office, camping, parties, etc. Are their products that you may be missing talking about? 53. Go to book stores, and read sales, self improvement and positive thinking books-input power- SO YOUR OUTPUT WILL BE EMPOWERED! Talk to others at the store who do the same thing! 55. Dream and imagine the possibilities that you have been missing…what about the strip malls in your town? Take a brochure to them and ask for a referral. 56. 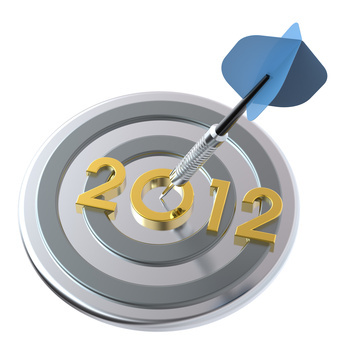 Set weekly prospecting goals and review them constantly. Post them where you can see them…why? Your subconscious will start you moving towards them when you are not even aware of it! And it will become a part of your presence when you recruit or retail. 57. Ask friends to help you get started to reach a certain goal-get a “Support Team” that will help encourage you and help you and refer you- online as well as offline. 58. Use benefits flyers- products are sold on benefits, not just the ingredients. People buy drills because they want holes, not the drill! 60. Follow up phone calls to particularly interested people you have chatted with and tell them you appeciated the conversation. Most do not follow up. They may decide later to set a time for an appointment. 61. Do a review of your products on video, posts, articles, and audio. Get theat out on social media. 62. Give products as gifts or donations to charities, churches, and other opportunities. 63. Don’t be shy talking about your products or your business when in a crowd or with people. Tell your personal story, and ask if they know anyone who might need the benefits of your products. 64. Smile when talking on the phone. Simple idea, but people will feel it, and response to it. Nervous people rarely smile on the phone. 65. Review orders from past PBRs – who have bought frequently, etc. Call them, facebook them, tweet them, or reconnect with them via email. Fill them in on a new product, or event, and invite them to lunch with you. 66. 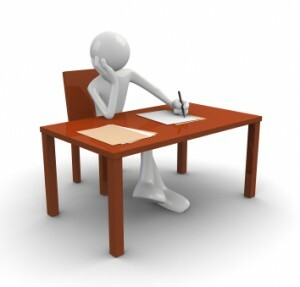 Be prepared to answer questions about your work…don’t be thinking when you should be talking. Have a response ready at all times. 67. Write down names and numbers of people who “owe you a favor” then follow up…they will be a great help with opening doors. 68. Call the most familiar people first, and make the conversation an “I need your help” conversation. 69. Call potential customers who postponed on you, and ask if you can meet with them this week. 70. Spend time every day working on some aspect of our business… but MAKE IT A VOLUME PRODUCING aspect! 71. Be willing to share the business opportunity…not just the products. 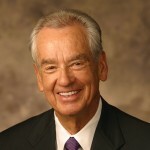 There are TWO products…The Retailing Product line… and the Business Product! 72. Call anyone who has said maybe or sometime…and if they are still saying this, ask for a referral. 73. Advertise in football, basketball, or musical programs…THIS WORKS! Been there done that! And sold product and recruited off of it! 74. Leave your business cards on bulletin boards or in local businesses… this is simply creating a potential exposure… YOU NEVER KNOW WHO IS LOOKING! 75. Talk about upcoming events with everyone on social media as well as offline. Invite them to a special event that is coming up. 76. Donate a basket to a local radio station to give-away during special holiday (mother’s day, Valentines day, etc) Sponsored by your company. You could even donate a brochure with it! 77. 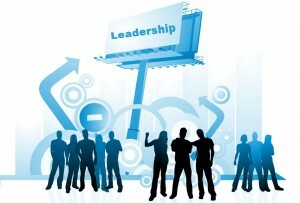 Keep a list of special interested folks in your success, and keep them abreast of your Successes and remind them you are looking for some leaders. 78. Create a facebook fanpage and give away something for free to build a list for your marketing efforts. 79. Offer an extra bonus for people who are willing to hold PBRs on days and for months when you need the volume and it is down to the wire. 80. Give extra service and time to good customers and PBR partners – they will be repeat PBR Hosts, and potential distributors down the road. 81. 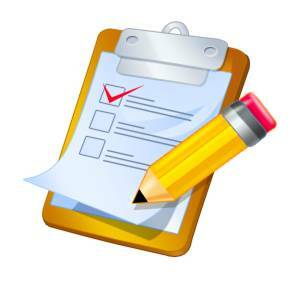 Carry a notepad to jot down names of prospects as you think of them. This works as you always run across people who you can follow up with later! 82. Let all PBR or luncheon guests keep a product brochure or catalogue. They can keep it on hand or pass around work. This happens more than you think! 85. ‘People that you know that care about the same things… ‘ Who has a commonality with you in caring for the same things? Maybe in a club or church, or an association. You have already established that you have something in common that matters to you both. And your business would be a great way to expand that relationship. 89. ‘Business owners you know…or someone else knows them.’ Business owners, especially small business owners are always looking for ways to increase value to their employees, and to increase the bottom line to their company. A lot of business owners have found Network Marketing to be a great secondary profit center for their business……..and they all have associations they belong to….with other business owners……A good way to prospect them is to ask for their advice on Marketing…..and their help. Don’t forget the Goldmine on their desk. 90. ‘Stay at Home moms.’ One of the fastest growing sectors in MLM is the stay at home mom. Many women professionals are starting to leave their jobs and careers to spend time with their family. Values seem to be changing, and with that comes a great opportunity to help them reclaim the income they lost and they already have proven themselves in the workforce. And over 70% of all networkers… are women. 91. ‘Chamber of Commerce.’ Every city has a Chamber and most are all business minded which means a goldmine for sales and referrals, and even some distributors. Join your chamber or at least attend some functions and get a listing of members. And here is an INFERNO Secret to recruit: Establish a relationship and ask for their help, and refer business to them. 92. ‘Civic/Charitable organizations.’ Join a Civic group to first make a difference in your city, not just to network. And become known as a go getter and helper, and as you do these things, ask for people’s referrals. And maybe a time you could let them try your products. But understand – FIRST make a difference in the group, and then you will have a better chance of making a difference with them with your business. 93. Print Shop Managers/Owners. Put a brochure in their place advertising your product or recruit them for a secondary revenue source. 94. Book Store Managers/ Owners- Spend time in the bookstore talking to like minded people who are looking for books on Success and Leadership. 95. Restaurant Manager/ Owner- Put a fish bowl in there and buy 4 business lunches. Draw the winner and keep the cards weekly to contact. 96. CPA- Who doe she/he know who is looking for an additional revenue source? 97. 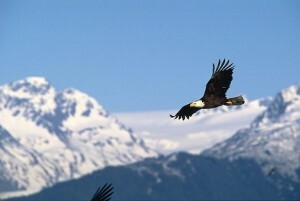 Attorney- Who does he/she know who is looking for a second start in life after bankruptcy? 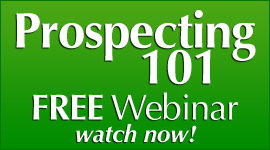 FREE Prospecting 101 webinar- watch it FREE NOW! Social Media MLM- What is More Important – Contacts or Content? Are you focused on creating content for your network marketing home business? Are you blogging and filming videos daily to create content so prospects will engage your writing so they may contact you for your MLM home business? Content is what has been driving the internet for over 20 years. It has been in many forms and especially in the beginning of the internet. It was quite simple and quite different than it is today. Social Media is all about great, usable content and we get that. But recently there have been a lot of folks on Social Media that are saying that it is your NUMBER of CONTACTS that matter. The debate goes on and it appears that there are 2 sides to the question. One side are the marketers that market on facebook, twitter, LinkedIn, youtbe, and other social sites. They market their trainings and information products. Marketers have a valid argument, as they bring new ideas and new products to the marketplace. 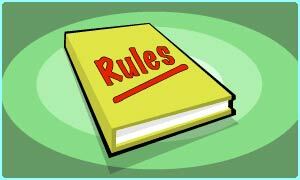 Creatives have a valid argument as well, as they bring new how tos and teachings to the marketplace. One says that it is all about QUANTITY of followers and friends you have. The other says that it is all about the QUALITY of Content you provide that will create the Numbers of followers and friends you have. Both may be right as far as their focus. Marketers need numbers to market their wares and information. This us how marketing is done and has been that way for hundreds of years. But things are changing. New Marketing is starting to take ahold in the marketplace and transform the process of marketing online. Information and Content are driving a LOT of the marketing efforts now. That is what we do as well. We market using creative content that folks seem to like, and then with their permission, we will send them some future information that may see benefit in maybe ordering. Seth Godin calls it “Permission Marketing” and that has been around for several years. But seems that it has taken a while for folks to get it and understand the concepts of it. This is what is creating this great debate – Content or Contacts. Rule of Social Media- HOT, USABLE, FRESH Content that is virally marketed will DRIVE the Number of Contacts you obtain quicker than just about anything. Folks are HUNGRY for answers, solutions, howtos, and information. You need rocking Hot Content to brand your message and to get virally marketed, as well as a lot of folks to market it to. And you do this by building your list one follower and one friend at a time. A List of what To Do. 1. Give away a free ebook. Folks will give you a look and maybe become a friend or follower. 2. Give away a free download. Folks will give you a look and maybe even send it to their friends. 3. Have a HOT blog post or gift and put it on a pdf. It will be sent around and folks will follow you just from that gift. It is not hard to do. Create Content that folks will want to use and apply to their life and business. But make sure that you do something that is CRITICAL to building the numbers of friends and followers. ASK them to Follow you and Become friends with you. BE BOLD! You will notice everywhere on PassionFire website are social “follow tags” that you can use. That is NO mistake. I would like for YOU to follow me on twitter as I do send out some HOT findings (urls, blogs, videos, podcasts, etc) in the social sphere that we can all learn from. And one More tip: Promote OTHERS in your efforts. Become a “powerful promoter. You will notice that I use a LOT of names and links in some of the posts that I send out. This is to let folks know of these folk’s work, as well as let the person know that I admire their work and learn from it. This is how that you BLEND Content with Contacts. I call it “Content Blending” and it WORKS great for social media marketers. Add contacts to your facebook notes, videos and insert them in blog posts, podcasts, video posts, and even keywords. Blend names into your tweets using @theirname in your message-and also Retweet –put “RT” before your message or other folks tweets on twitter as that will be a way to promote them as well. And also in groups, use other folks names in your communication as well as this will shw that you are connected to folks in that group as well. Bottom Line – “Content Blending” will assist you in building your list, and answer the debate of whether Content or Contacts is more important. DOUBLE the power of BOTH by making sure that you have HOT content in all you do and then blend some contacts and promote others as you do it, and you will find your numbers of contacys rocking in your social media marketing efforts for your home based business in network marketing. 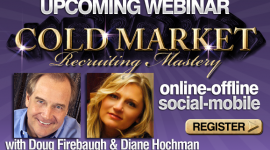 FREE Social Media Recruiting 101 Webinar- Watch it NOW FREE! Are you practicing Solving problems or creating ones in your mlm home business? What if you could discover a powerful way to recruit that has proven to work but rarely anyone teaches? How would that create an excitement to go out and talk to new home business prospects? There is a Golden Law in Online as well as offline recruiting that we teach and it truly is all part of the process of understanding how to sponsor people. What is that Golden law? People are looking to be SOLVED not SOLD. People are looking for Answers, not Products. With that in mind, then you have the beginning of a higher understanding of Network marketing recruiting. You will look at your prospect with a much different view. You will see them as people that are LOOKING FOR SOMETHING– versus YOU wanting something. Often the home business professional wants something from the prospect versus has something FOR the prospect. There is a name for it, and it is an amazing way to recruit for your mlm home based business. 1. It creates the conversation that the prospect automatically will connect to. 2. It PULLS the prospect towards the conversation as they sense you have something they are looking for. Solution Based Recruiting involves taking the time to find out what kind of challenges that the home business prospects have and then help them discover through you, a viable and enduring SOLUTION for that challenge. If they have a health challenge, then you simply talk to them about the Solution you are introducing to the marketplace. If they have an income challenge, as many prospects do, you are introducing a Solution into the marketplace that helps solve that problem. How do you find their Great Challenge in their life? If you are on facebook or google+ then look at their posts and you will see them talking about it. All you have to do is tell them you can help them solve that issue. From the very beginning, you are SOLUTION FOCUSED. 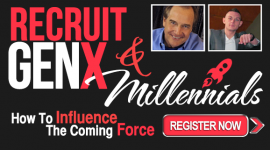 This mlm recruiting secret has recruited tens of thousands of prospects and will work for you. 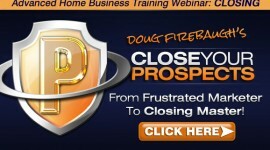 FOCUS on SOLUTIONS for your mlm prospect and watch an explosion start to happen in your home business mlm recruiting. 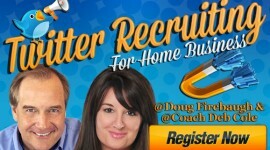 FREE Webinar on Recruiting 101- Watch it FREE NOW! The One Recruiting Secret 99% Do NOT KNOW! How would you like to discover 3 secrets of Personal branding for network marketing that will skyrocket your home business BRAND? Would you like to know how to accelerate your brand beyond what most people could imagine? Well, that is the reason for this post. To help you with your Personal Branding efforts as well as results that you can achieve a few small tweaks. Personal Branding is critical today in your home business marketing. But there are three CRITICAL Rules that you MUST adhere to if you are going to create a powerful brand. Most that attempt to create a powerful brand often end up with less then the power they wanted, and sometimes are still invisible. THAT is simply not acceptable! I have been building a brand online for 15 years, and have been blessed with a brand that is very recognizable in many arenas of our profession. 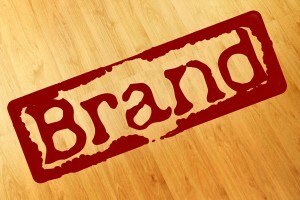 You can do the same thing embracing and engaging these 3 Branding Secrets I am talking about. And the power of these secrets have proven to create a brand of STEEL that will last and endure over time. And it DOES take time for Personal Branding in MLM to take a hold and create the visibility you are looking for. That is why we teach “CORE” Secrets with Personal Branding. That says it all as far as your brand and what you need it do ot for you. The Power of Repetition is one of the most powerful “branding irons” that you can have. It will mark an IMPRESSION in a person’s mind, and in their memory as well. You MUST REPEAT your “Branding meme” over and over and over. This is part of the Personal Branding Track that you must travel. What people see REPEATED can create “mental hook” in their minds, and they will REMEMBER more of who you are and what you do. WHAT do you and your Brand represent? What is your MESSAGE and what is that supposed to DO with people? What kind of EMOTION do you represent in your brand? What kind of PICTURE does your brand represent and paint in the prospect’s mind? What is the WHY that is represented with your brand? WHY should they listen to you? WHY are you someone they SHOULD listen to? One of the fastest growing segments of the managing of brands is what is called “Reputation Management.” This is where you manage what is being said about you, and for you. What kind of reputation do you want your brand to have? What are your plans to create that reputation? What are your objective and goals to reach that level of pristine reputation? Reputation is the GOLD of a Brand and is worth more than words can say. ALL 3 of these are CRITICAL in your Personal branding. Make sure that you embrace and engage these in your mlm home business personal branding. 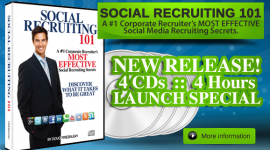 FREE Social Media Recruiting ebook- “Social Recruiting Power”- over 50 secrets of recruiting in social media! 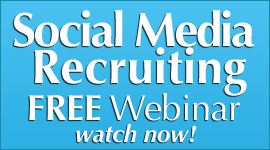 FREE Webinar- Social Media Recruiting 101- watch it FREE NOW! Home Business–If you WANT SOMETHING- GO GET IT!